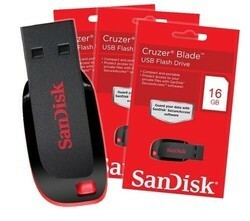 Owing to our in-depth expertise in this domain, we are engaged in offering an extensive range of Sandisk Pendrives. Provided product is mainly used for business operation as well as common data transfer operations. Further, offered product is available in different specifications as per the specific needs of the clients. We offer this product at affordable prices to our precious clients.